Beating Manchester United in the FA Cup final could easily have altered the situation surrounding Antonio Conte at Chelsea. With some indications of his feelings around staying on as manager and clear issues between him and owner Roman Abramovich, it’s automatically assumed that the club will be looking to a new man this summer. Bookmakers offer odds on all potential candidates to take the hot seat at Stamford Bridge, so there’s a lot of punters predicting who the Italian’s successor will be. The ability to bet on both Manager Specials and Transfer Specials has opened the door to a new dimension in football betting, and it’s become something to excite punters, especially when all domestic football has come to an end. It’s worth checking out the extensive list of markets that the bookies have to offer as they aren’t all too easy to find – something like TeamFA have helped out with by covering all areas of sport betting with their own football betting tips and predictions, as well as previews backed up with the strongest odds. If you hadn’t heard of Maurizio Sarri before this season, it’s expected you’ll know who he is now. 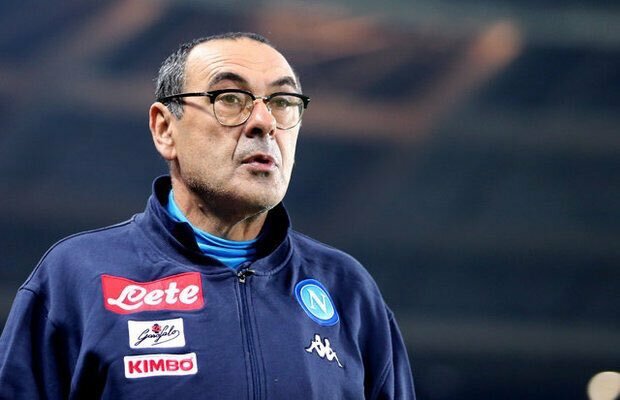 He took on the mammoth task of making Napoli into one of Italy’s strongest sides after Rafa Benitez left to Real Madrid and has presented one of the most exciting attacking sides in world football. Bookmaker odds previously indicated a 14/1 price for him to take on the Chelsea job, but he’s now moved into being a strong favourite, which was made even more likely after he hinted at his intention to leave following Napoli’s final game of the season. Betting on Sarri to take the job isn’t quite as tempting now but some punters will be in the money if they backed his chances at 14s. Dipping in and out of being a clear favourite to take the job, Luis Enrique is a name that a large portion of punters will be backing. That being said, no significant percentage of those backing bets on the next Chelsea manager have gone for the Spaniard, making it more about how realistic it is, than how many people see him as the right man for the job. He was instrumental in making Barcelona perform to best of their ability several seasons back, taking every accolade on offer, but it all fell away in his final season at the club. Odds for the former Barca boss to take on the job have always been pretty slim, with 3/1 being the most generous price in recent months. Many will automatically laugh it off due to his somewhat unorthodox nature, but Brendan Rodgers features in a lot of football betting tips for those managers who will one day return to the Premier League. He’s currently gearing up for a battle with new Rangers boss Steven Gerrard, who he previously sold to LA Galaxy while at Liverpool, making it a perfect meeting for the next campaign. Potential job opportunities at Crystal Palace and West Ham United have come and gone, so it only depends on whether Chelsea think the Celtic boss would be a good fit for them. He was once a coach at the club and clearly has his ties to Stamford Bridge. Although it seems massively unlikely, there will be some punters who are more favourable over an outside bet tempted by those 11/1 odds.